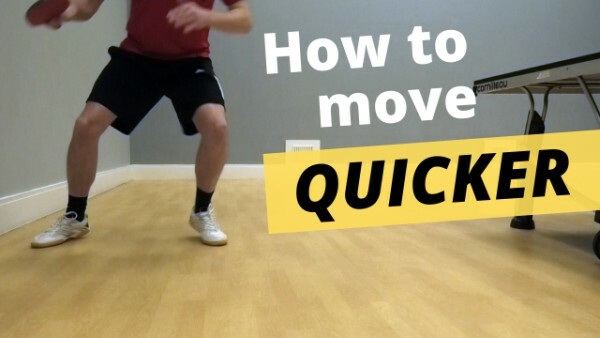 In this video I share a simple tip to help you move quicker when playing table tennis. One of my many bad habits when I play is that I stand too upright. When I stand upright my body weight goes onto my heels. When the weight is on my heels, I move slower (or end up reaching for balls). So to move quicker, you need to get into a better table tennis stance. This means leaning forwards and keeping low. Then the weight will be on the front of your feet and it becomes much easier to make quick movements. If you can move quicker, you can get to balls quicker and play better quality shots.